Wholesale Trader of a wide range of products which include submersible borewell pumps, open well submersible pumps, bore well submersible pumps, submersible pump sets, open well submersible pump and vertical multistage pump. 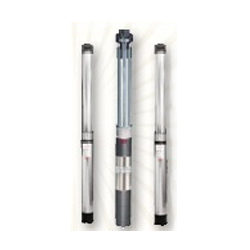 CG offers a wide range of Submersible Pump sets suitable for 150mm, 200mm & 250mm borewells. Our Submersible Pumpsets are specially designed, with the use of latest manufacturing techniques, to meet the water requirements of the different needs in domestic and agriculture use. Totally Enclosed, Water Filled, Squirrel Cage, 2 pole (3000 RPM Syn. Speed), suitable for Wide Voltage, 3 Phase, 50 Hz, AC supply. Three Piece Construction with centre S.S. - Ease in rewinding & longerlife. Special water resistant PVC insulated copper wire. Specially Designed Thrust bearing - Lower power consumption. Epoxy coating treatment to all ferrous parts of the motor – Rust Prevention & longer life. Specially designed pressure compensation device. Specially designed seals to avoid sand entry. SS Sleeves to prevent Rotor shaft. Range : 1.1 kW to 56.25 kW ( 1.5 HP to 75.0 HP). Total Head : Upto 252 metres. We have put forth for our clients Open well Submersible Pumps. 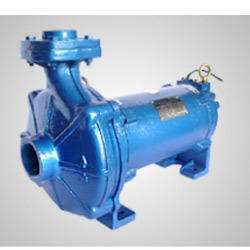 These pumps are designed for robustness and for their applications under the submerged condition. Superior design and better manufacturing techniques have resulted into development of this range of pumps, which are efficient and reliable in operation. With our expertise in this domain, we are able to offer a superior quality range of Bore Well Submersible Pumps. The offered range is highly suitable for varied water related works. Our vendors fabricate this using quality material to ensure better performance and efficiency. 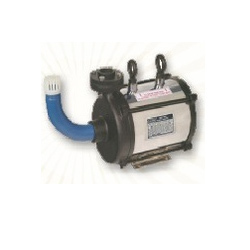 Our quality pumps demand less maintenance cost and can withstand harsh weather conditions. 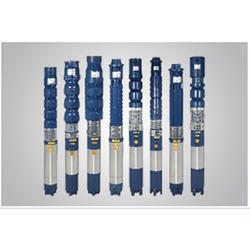 Clients can avail from us Submersible Pump Sets. The offered range of pump sets is suitable for hundred mm borewells. Our offered range is specially designed, with the use of latest manufacturing techniques, to meet the water requirements of the different needs in domestic and agriculture use. Our clients can avail from us an exquisite range of Open Well Submersible Pumps. The offered range works under water. It has a water cooled, re-windable induction motor, which helps in bringing the water supply. The rotor lamination is mounted on a stainless steel shaft and its stainless steel body is designed with anti corrosive primer coating. We have put forth for our clients Open Well Submersible Pump. These pumps are designed for robustness and for their applications under the submerged condition. 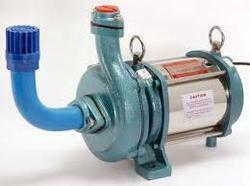 Superior design and better manufacturing techniques have resulted into development of this range of pumps, which are efficient and reliable in operation. With a rich industry experience of this domain, we hold immense expertise in offering highly efficient Vertical Multistage Pump. These pumps find their wide usage in Boiler-Feed, Pressure Boosting, and Water Treatment Plants. Backed by a dexterous team of expert professionals, we are engaged in offering services of Multistage Pumps to our esteemed clients. The maintenance & repair services of these multistage pumps are required when secondary cells lose their efficiency. Our offered services are widely acknowledged for promptness, reliability, flexibility and cost effectiveness. 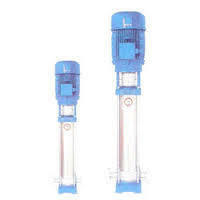 We hold expertise in offering a wide range of Water Submersible Pump. These Submersible Pump sets are also extensively used in especially those cases where even the lowest pumping water level is also beyond the reach of a particular and normal centrifugal pump. It is known for its slender construction that make the submersible pumps to operate in both small as well as crooked bore wells. 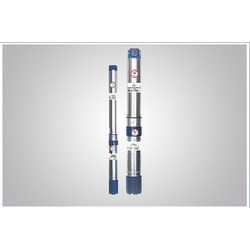 The submersible pump sets are extensively used for Industrial and Agricultural purposes. Looking for Openwell Submersible Pumps ?